Oh yea, I’ve been sitting on this idea for a while. I remember riding the MAX train in Portland last summer, and around the Rose Garden Arena stop, I saw a 20-something young girl with dyed pink hair, a pale yellow sun dress on, and purple flower tattoos on her arm! I thought “She looks like Fluttershy!”. 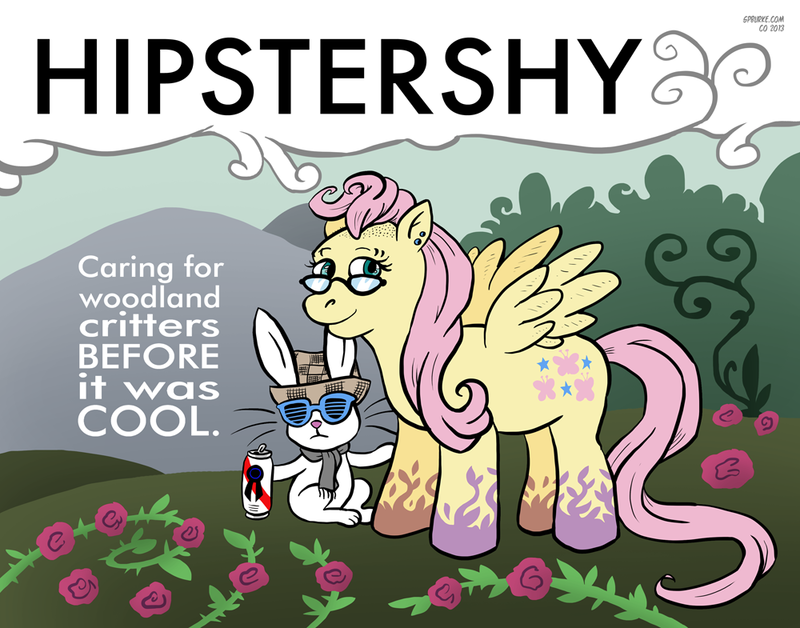 Thus, “Hipstershy” was born. The Hipster Angel Bunny extrapolated from there, and I gave most of the stereotypes (Kanye glasses, can of PBR, etc) to him. Another fun fact: the color palette was taken directly from “My Little Pony: Friendship is Magic”. I merely desaturated it to mimic Portland’s frequently overcast skies. This is gonna be one of my big prints at C2E2, and I can’t wait to show it off! Stay tuned for more in the coming days!